I will get this later when I have the time to continue the Nod campaign, because it's campatible with old saves yo? 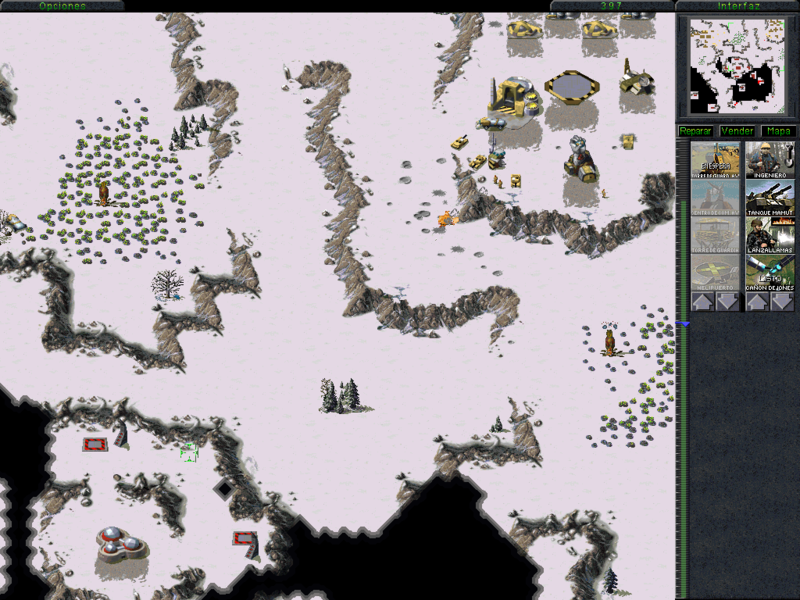 Here you see C&C95, playing a mission ported from the Nintendo 64 version, with added RA1 snow theater, in high resolution, in Spanish, showing the new ion cannon icon. That's something you don't see every day! =O How could you ever get tired of Act On Instinct?! It's one of the best themes ever!! And if you want the game to start with it every time as it did before, well, simply open conquer.ini, go to the [Music] section and read the explanation of the StartMusic setting.